Hawks go in to Madison and lay an egg of historical proportions. Josh Jackson tries to beat Bucky by himself, and almost succeeds. We talk Wisconsin with Tom Kakert of the Hawkeye Report, and look ahead to Purdue and a sneak peek at Iowa basketball. 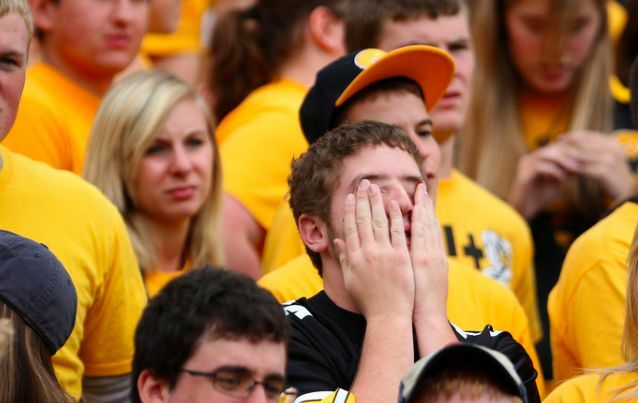 Check out the Hawkeye Report, and follow Tom on Twitter at @HawkeyeReport. Listen to the latest episode here, or subscribe on iTunes or Stitcher. Source: Some meme generating site on the interweb. This is all of us right now. This entry was posted in Podcasts, Uncategorized by bladel. Bookmark the permalink.